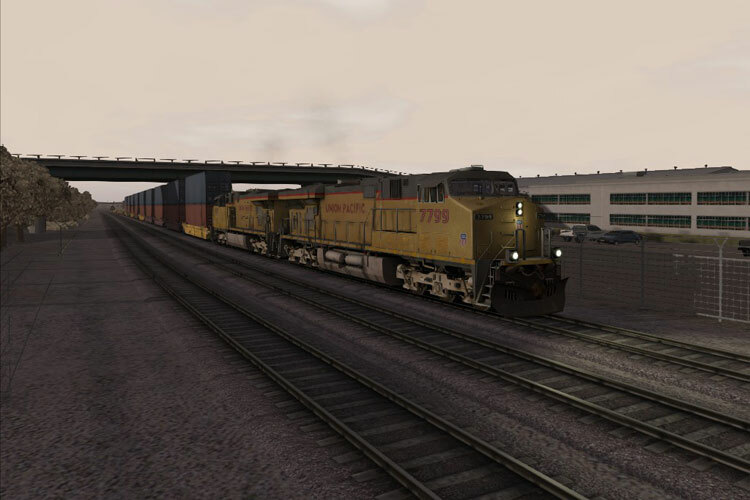 Train Simulator 2012 sports a new menu design, which is simple and straightforward to use. Also new is an interactive loading screen. This screen serves as a sort of “billboard” that will display a slide show of new or upcoming DLC add-ons. It also has a series of buttons beneath the slideshow screen which open the Steam web browser overlay. 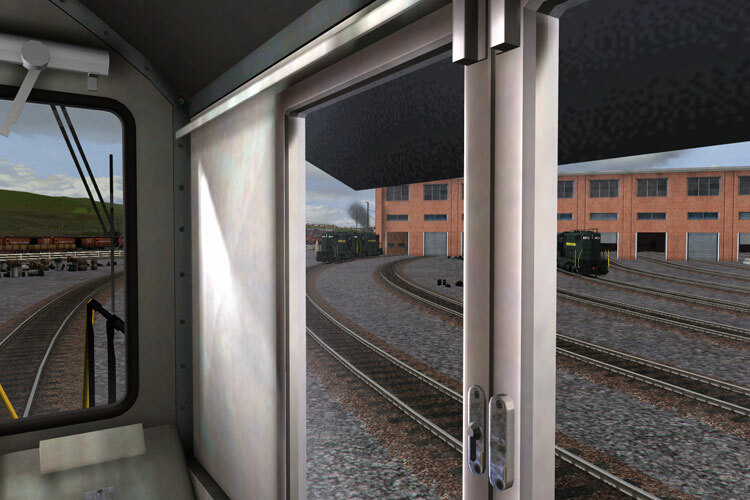 These buttons are preset to open the Railworks Steam Community Group page, the Railsimulator Facebook page, the Steam Railsimulator storefront, and the Railsimulator.com web site. If the Steam overlay web browser is being used during loading a scenario (which can sometimes take minutes on my PC), you can see when the loading is done through the translucent overlay, and use “shift+tab” to drop the overlay and get into the gameplay. 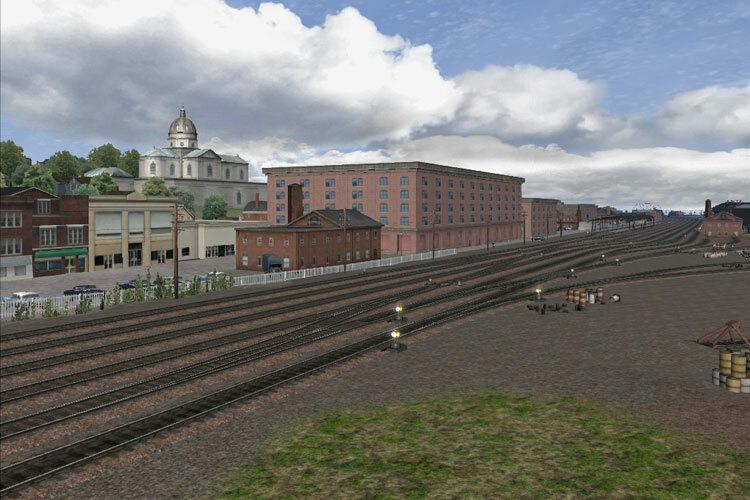 During that gameplay, the user interface is much the same as Railworks 2. 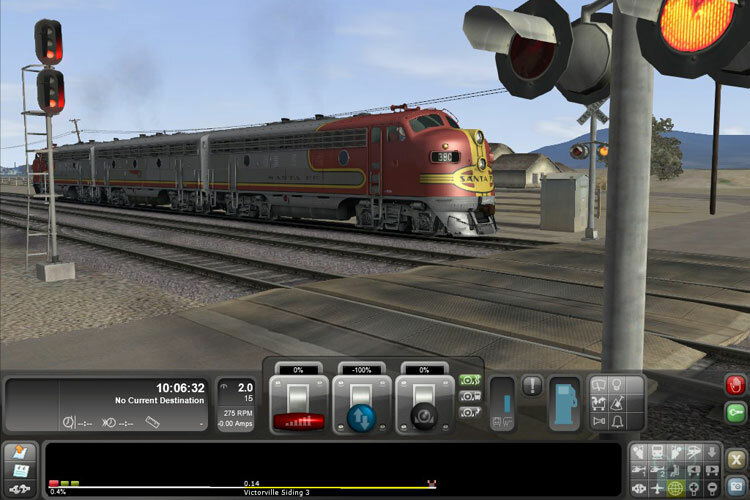 This includes the “Cab Control” display system, the “Engine Information” overlays, and the 2D map views. There has also been an update to the Launch Window’s “Settings” tab. 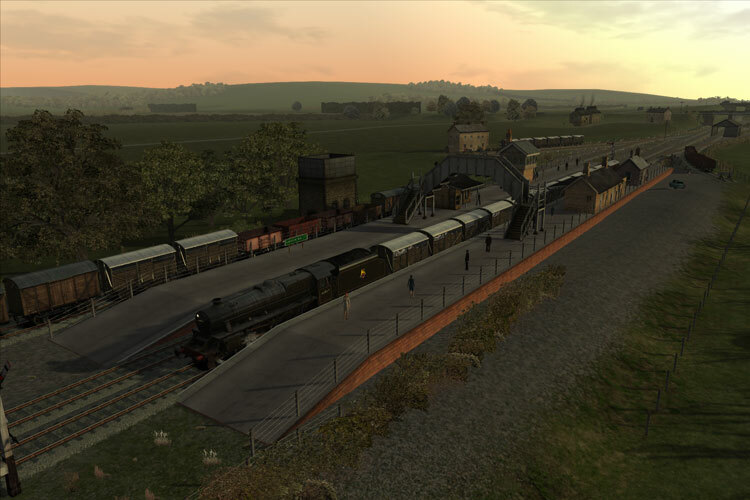 Most notable is the “Graphics Technology” section, with a checkbox titled “Train Simulator 2012 Game Engine Technology” which toggles whether players will see the newest graphics updates, or the older “legacy” shaders, similar to Railworks 2. More on this later. Also worth noting are options for choosing the type of texture filtering (bilinear, or anisotropic 2x to 8x on my PC), and a large slider for selecting the type of antialiasing, with brief descriptions of what each setting does. 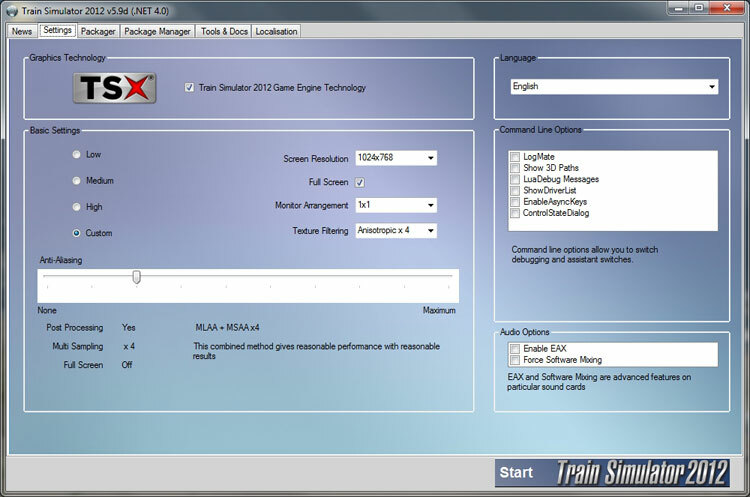 The Train Simulator 2012 Launch window settings options. 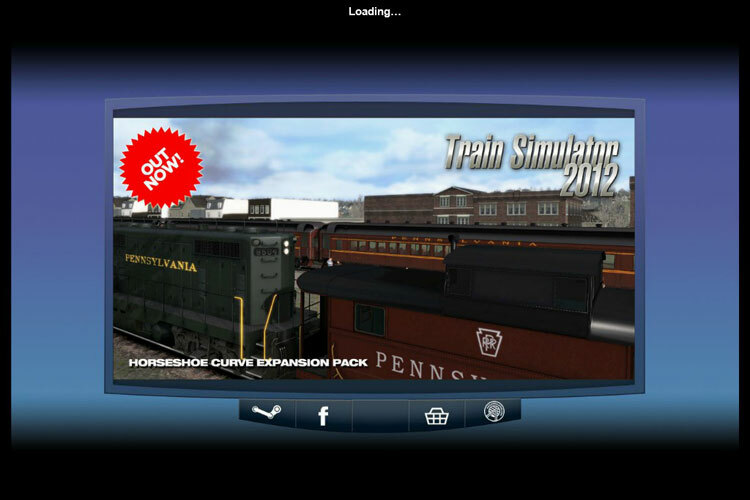 The Train Simulator 2012 loading screen, billboard currently advertises “The Horseshoe Curve”. 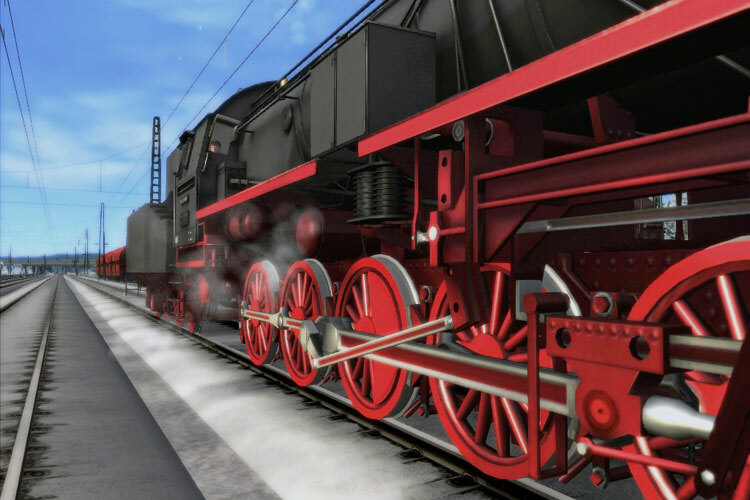 The PDF manuals are very similar to those included with Railworks 2, having been updated where appropriate with references for Train Simulator 2012.